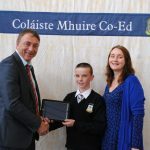 Coláiste Mhuire Co-Ed is delighted to announce a Technology Scholarship for a lucky student enrolling in first year for September 2018. The Department of Education is actively encouraging study of the STEM subjects as there will be career opportunities in this area in the future. 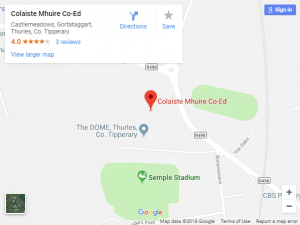 Coláiste Mhuire Co-Ed is the only school in Thurles where you can study and complete Junior Cert exams in all of these areas. 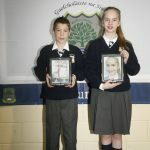 Coláiste Mhuire Co-Ed has impressive science labs and 5 computer labs. 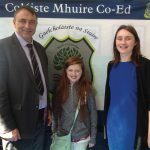 Coláiste Mhuire Co-Ed offers higher level in all subjects, including Maths, at both Junior and Leaving Certificate. How to enter: Details of how to apply will be available at the Wriggle stand on Open night.